Be forewarned, the below entry was very labor-intensive, and somethings may appear odd on your browser. I did a lot of fancy tididly bits, some of which worked, and some of which are hard to explain…or fix…or alter…whatever……BUT it is all readable as far as I can tell with some fun links and prizes at the end…so read and be amazed at the incredible Jennifer Paganelli! Oh, where was I? Oh Yeah! Jennifer Paganelli has so many wonderful lines, I can’t even count them all! Her newest is Flower Power…and there are two more coming …Pretty Please and Dance With Me coming out by summer…she also told me of two MORE she is working on, but I think at least one of those is hush, hush, now so you will have to wait….they have GREAT TITLES though! Jennifer is so clever with those! Well when I was around 5 or 6, my mother made me a flying nun costume and for that day probably that day only I wanted to be a nun. Later on in high school, I wanted to be a window decorator, using the old vernacular, remember they didn’t have words for merchandise stylist at that time. What is your favorite part of what you do right now and why? I love getting to know the people using my fabrics..I love to see what they are making and what inspires them…I love my designs becoming theirs. What is your least favorite part of what you do now and why? What is your favorite pair of shoes? I love patent leather wedges! Do any of your children show an inclination towards design? My daughter Katie loves Photography, even has a Holga, which is a very artsy type of camera, and I know it sounds silly, but my son is into cars for obvious reasons, i.e. performance, but I hear him talking about the aesthetic, and it blows me away !! What was the last book you read and did you like it? Why or why not? Her Last Death by Susanna Sonnenberg…an amazing writer, loved it so much! What time of year do you find most inspiring and why? Spring is the obvious answer, but I also love the fall. You have 3 lines of fabric coming out all this year! You have been busy! What is your next line of fabric brewing, and how do you think it will be different from past designs? The next is probably a convergence of Modern and romantic from my travels to Paris. I was struck by the way they coexist and enhance one another’s integrity!! Parisian Holiday is the name of the collection. Isn’t that a great name, folks? What other plans do you have for the future? I heard you were thinking about going “big” with manufacturing…how is that going? The future holds lots of opportunity, and for that I am so grateful. I would love to do all sorts of things, but right now I need to finish the next collection. I don’t mean to be coy, but the fact is that so much doesn’t pan out, it’s best to wait ’til it does. What would your reaction be if someone handed you a pair of Barry Manilow tickets right now? Never got his appeal! What is your favorite ride at Disneyland and why? I’m quite good at rollercoasters with no big drops. Do they have those at Disney World? ?….it may even be a kiddie ride. Not too daring. 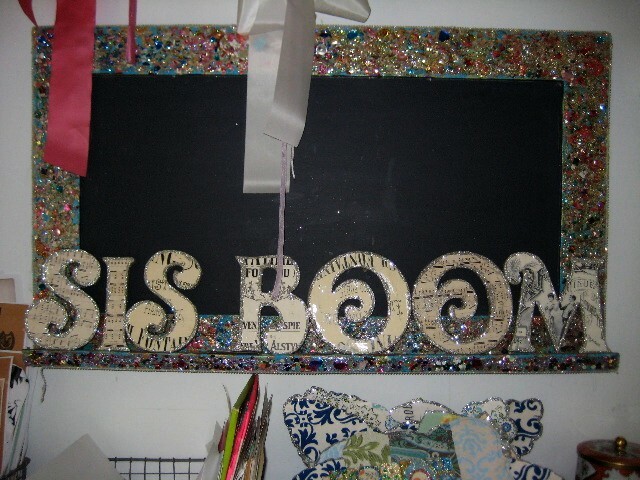 Do you have any humorous stories about the Sis Boom beginnings that you could share with us? People calling me Sis stll gives me a bit of a chuckle. And the final most important question most likely…..Davy Jones, Bobby Sherman, or David Cassidy? Barry White..I grew up in the Virgin Islands for God’s sake; it was all about Motown. I just want to say a big Thank you to Jennifer for taking the time so share some interesting thoughts and delightful pictures here at the Blue Nickel. Interviews are not really going to be my “thing” But I had a great time getting to know Jennifer a little better and I hope you have too. There is a WONDERFUL Podcast of Jennifer by another Jennifer over at Craftsanity. Check it out! NOW for a raffle/comment-a-thon for prizes from Sis Boom and Blue Nickel Studios! To enter to win, you need to leave a comment here at Blue Nickel Studios on this entry. Deadline for entries will be Midnight on March 21st. The first day of spring seems appropriate. And we want you to answer these two questions! What is your most inspiring time of year or day? and what will you make with your prize? 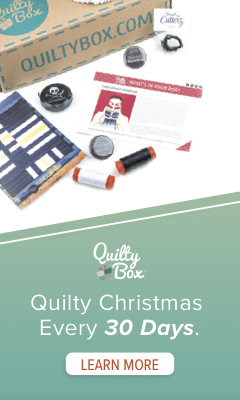 Sis Boom is giving away two sets of two bundles of Sis Boom Fat Quarters (that is 4 fat quarters of fabric to two winners) and….. The first two names drawn get Jennifer’s prizes and the next two get mine. Looking forward to hearing about all the creativity out there! One final note: this entry was tricky with all the bolding and indenting and picture placing, so if something is out of whack please be forgiving, I did my best. You can let me know if it is a glaring error! Hi – this is my first visit to your blog. What a great interview with JP. It was fun to read. Great contest – can’t wait to read the responses! Gosh, I am blushing now! Thanks Jennifer. I am looking forward to meeting you in person too. I thoroughly enjoyed reading your interview. Thanks for the giveaway, let’s hope I’m lucky! 1. I get wrapped in inspiration in a quilt shop, or browsing a book or magazine. You never quite know when you’ll spot something that sends those ideas running through your head though. Whether it be nature or man made. I’m always excited by some idea! 2. I have just put down a magazine and liked a wall quilte and a bag in particular. What could I make with my prize? (If I were that lucky). I think the fabric itself inspires you to make something with it, so I would have to wait and see. 1. I am inspired to create pretty much all the time but can only steal away to my studio while the little one is at school or late at night. 2. I am thinking maybe a cover for my sketch book. I get inspired when I see fabric that just blows me away ~ so that can be anywhere – in a quilt shop or on the internet and nature inspires me – the color of a sunset or all the different colors of foliage and that, again, can happen any time I’m outside or see a picture. I think I would make a quilt out of the fabric. I like the long process of a quilt (takes me along time to make one) so I get to enjoy the fabric for quite a while. And, living in Motown area , we use a lot of quilts to keep warm! Probably spring. I love spring and summer clothes, the warm breeze inspires me. I will probably make a skirt for my daughter with my winnings (if I happen to get so lucky) Thanks for the giveaway! Oh Scott, you are cracking me up! Those are the greatest questions. How shocked I was to see you and your Miss Lovely mentioned on Jennifer’s blog. I kind of had to pull a “I knew him when…”. Honestly, my most inspiring ‘time’ is when I’m OFF of sugar! It really zaps me of my creativity (and energy and…) so sad to say because it is my true love (don’t tell Ben)! and…if I won some fabric I would look at it for a long time and eventually, it would tell me where it wanted to go & I would work it into something wonderful! Thanks for a chance in your giveaway & I’m off to add you to my list of ‘must read’ blogs! Best wishes, Bloom. Loved reading this! I am most inspired after a lull . I usually get revved up in January after the busy holidays but whil it’s still too cold to want to be outside. What would I do with the fabric? Probably wait and see the gender of my baby due in 2 weeks and make something if appropriate…i f not, sew an outfit for my 4yr old daughter. I am a true fabric junkie so I would start by washing and fondling it…and wringing my hands about cutting it into it! Hi…fun interview. I hopped over here from “Stop Staring and Start Sewing”. My most inspiring time of day is probably after I go to bed, unfortunately. That seems to be the time of day when my head is filled with ideas of things to make. Probably because it is quiet! My favorite time of day is the moment I wake up. I’ve got a 10 month old who luckily sleeps in so I run to the computer, check my google reader and dream of having the time for all of the wonderful projects that I find! I’d love to make clutches with the fat quarters and quilted placemats with the scraps! 1. I get inspired at work! I work in a fabric store. Talking with folks about what they are making or the fabric combinations just get my mind working! 2. I’d have to let the fabric talk to me. I have a bunch of quilts and bags in the works right. Thanks for having the giveaway. I like any holiday. Gives me a reason to spruce up the house. I’ve got green galore going on right now! I’d make napkins to match my sister’s placemats (see Joy comment). I think I am most productive in winter because I live in a cold climate and when I am trapped in the house and can’t wander about I get more done. I think I would make a lovely bag because as I tell my husband “you just can’t have too many bags”. He disagrees. Hi! I love this interview and have had a good chuckle reading through it…thanks, I needed to laugh a bit! If I was so lucky to win, I would definitely have to make a stripwork skirt or top out of these gorgeous, bubbly fabrics. I’m most creative when I am SUPPOSED to be doing something else…Queen of Procrastination! I am planning a summery frock for my niece with a few different, yet coordinating fabrics and that is what i would do with the fat quarters. Oh yeah SHAUN Cassidy all the way! I loved the interview!! jona sent me over to check it out. How fun! I love the questions. I would LOVE to get any of the prizes but IF I got Jennifer’s collection of fat quarters—OH MY the possibilities. I will make a clutch (a design I made) and AN APRON!! 🙂 hehe It would be all for me, too! Or maybe a pillowcase?! Lawd, the possibilities. My most inspiring time of day is anytime my husband is NOT home! LOL! No, I work during the day until 6ish and I am more inspired during the Spring/Summer time of year. I love COLOR! thank you again for a great look into Jennifer P.’s funny personality. My most inspiring time of year is Spring, when everything is fresh and alive again. I’d probably use my prize to make a picnic blanket – I’ve been wanting a cute one with a matching bag for all our trips to the playground and the park. Thanks for the chance – great giveaway! This is the first time to visit your blog, very interesting! Thanks for the interview with Jennifer. I am most inspired in my sewing room, probably in the Spring/Summer. I love that time of year. I hope to win those beautiful fabrics so I can make a new scrappy quilt. I want to use all the colors! Thanks again! This is my first visit to your blog… love the photos on flickr. My most inspiring time of year (for quilting,sewing, decorating) is late January. I live in Minnesota… it is VERY COLD here. After I get all my Christmas decorations (which are a lot) put away and my house in order, then I have until weather warms up in April or May to sew like crazy before gardening starts. If I were to win fabric I would make a fabulously bright and colorful throw/quilt for our just finished basement. It is very tan & brown… rich and neutral… perfect for whatever quilt/color I come up with. Jennifers fabrics would really warm up a Minnesota winter!! Jona sent me over too! My most inspiring time is when I talk fabric with my friend Jane. We chat, online window shop, read blogs, buy, sew and plan projects together. She inspires me to do, as well talk. I would make a bag with the fat quarters, and the scrap bag hopefully would lend itself to some hexagons. I’m usually inspired in Winter, which is coming our way soon 🙂 It’s easy to make lots of warm quilts in winter. I’d probably make a quilt, I have a book on scrappy quilts due in the post any day soon. Fun interview, I’m so glad I followed a link here! I’ll definitely be back. I’m most inspired when I actually have time to work on something! I’ve now set my 3 year old up in my own studio and while the never ending questions can be a challenge — I appreciate the opportunity (ANY opportunity!) And having a 3 year old “assistant” does bring out new ideas. She’s not afraid of anything! Like mixing an obnoxious necklace (made on a 3 ft. piece of yarn) tied onto fabric scraps attached to ribbon that’s glue sticked onto an orange piece of paper decorated with colored pencils and a cut out Clifford picture! Yeah. Inspiration comes to me in the morning, early morning with my first cup of coffee and a few great quilt books or a beautiful piece of fabric. I am inspired by antique quilts and would probably start with making stars out of all the fabrics I win , lots of scrappy stars and then make little quilts or baby quilts by offsetting the star blocks with an alternate fabric I have in my collection. I get most inspired after reading other crafty blogs, and looking on flickr. 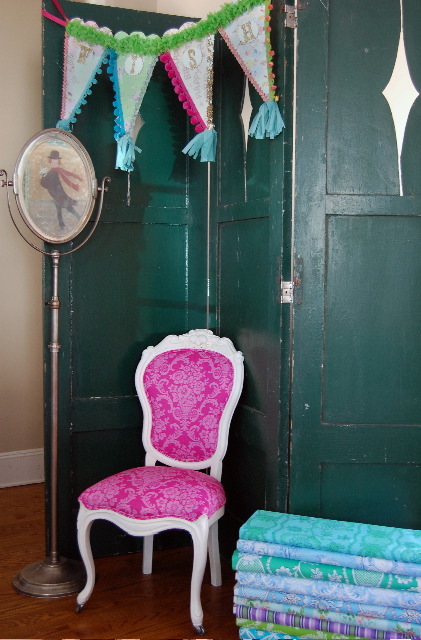 If I were to win the fabric I would make the pom pom and fabric bunting Jennifer has posted on her blog – gorgeous! I am inspired best in the spring! I would love to make a doll quilt for my daughter! What a great interview. It’s great getting to know our favorite designers better. Love Jennifer’s fabrics, and I’m excited to see her future plans come to fruition!! And of course I forgot to answer the questions! Favorite time of day is night time, when the kids are in bed, and I get to go to my quilt room and sew sew sew!! 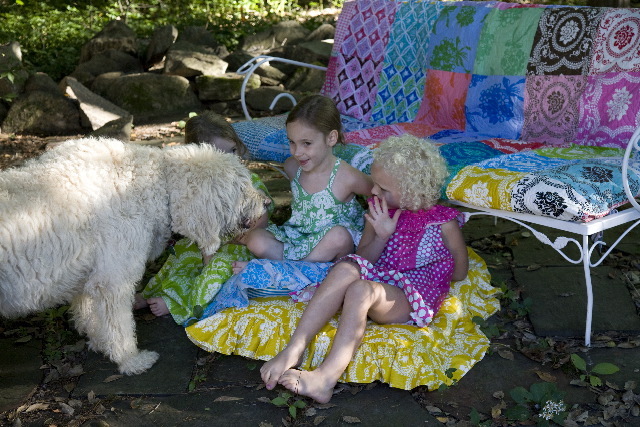 If I were to win, the fabrics would definitely be used in the quilts that I make! If I won some fabric, I’d definitely make more macbook sleeves for my dream etsy shop that I plan to get up in the next few weeks… see!? I’m most inspired when least able to do anything about it!! Know the feeling? Usually when I’m first waking up in the morning or as I’m drifting to sleep I get these wonderful ideas and just drift thinking about how to solve them. I have a new tote up my sleeve, and it needs to match ALL my clothes and shoes, lol. I enjoyed this interview! It is so neat to see how others create and what they are thinking about. I am most creative in the spring when everything is starting to become green again-maybe the summer, too, because I have more time! I would make a baby blanket or a table runner. I need both so whatever struck me as absolutely necessary that day! My most inspirational time of the year is during spring. Everything is blossoming, and you’re able to wear bright clothes, and go barefoot! 😀 I’m not sure what I would make, maybe a journal cover, or part of a quilt. The possibilities are endless!! By the way, I LOVE that white chair with the bright pink cushions! Absouletly gorgeous! Great interview with one of my favorite friends! I have found that I really start feeling my creative juices start to flow at about 4pm in the afternoon. The whole morning and early afternoon, it seems that I am really just going thru the motions. But as soon as the bus drops my daughter off and I get her settled, then the creative juices start flowing, which is kind of awkward because dinner needs to be made about this time! (I cook relying on multiple timers!!). Dinner time usually finds me in the middle of a project and the kids eating with me sporadically checking on them. I would make some more bags…seeing as how I just used up the last of my “Flower Power” prints, I am in serious withdrawal now! That was a really fun interview. You should do more. I like hearing about different, quirky details. I am a big Jennifer P fan and really enjoyed it. My most inspiring times often come at night when I’m trying to sleep and in the shower. I think it’s because no one can interrupt my thought process! If I win, I think I would like to make a patchwork-type skirt for myself and daughter to wear for Easter. I love the spring and summer, and most productive time of day for me is at night when my kids are in bed. I love the color of the spring/summer seasons so much! All that vibrant color inspires me. If I win, I will add my winnings to my ongoing scrap quilt project! It is fun to make and can always use more diversity in fabrics. I really enjoyed the interview and the fabrics are scrumptious! My most inspiring time is late in the evening, sometimes very late on the weekends when I do not have to stop sewing to get to bed. I would make a quilt or a pretty dress for my 3 year old niece who was adopted from China. My first visit to your site also, and I thought the interview was wonderful! My favorite day is probably the first warm day when we can really be outdoors without jackets and feel the warmth of the sun on our faces. I can’t wait to get out into the garden this year and start working in the soil, and also am looking forward to putting our kayaks in the water. It’s been a very hard winter here in the northeast! What would I make? Maybe a quilt? Maybe a pillow of some sort? Maybe with the scraps some lavender sachets. The ideas are endless! What a neat interview! Thank you for taking the time to share your conversation with J. Paganelli. And for adding all the visual *candy*. 🙂 Definitely a fun read. Must seek out some of her fabric for future projects. Thanks again. Great interview! Can’t wait to see all the new fabrics coming out! Don’t really have a most inspiring time of day, I feel like I have to create whenever I have a spare minute! Favorite season is fall…love all the gorgeous oranges, reds, burgundys, etc. Now, what would I make, well, probably purses, clutches, wristlets! The brighter, the better! Enjoyed the interview and your site! My most inspiring times are when the sun is on my face–I think I must be seasonally affected!! Is that a condition? And I would LOVE to piece the pieces together for some appliques or hummmmmm………..
Great interview. I am so in love with Jennifer’s Flower Power line right now! I am inspired/thinking about projects while lying in bed trying to go to sleep. I often can’t sleep because the ideas in my mind won’t turn off. I am usually able to actually recreate some of those ideas in the afternoon, up until dinner time when I really seem to be in a groove! Then I have to stop because my husband and kids claim to be hungry! If I won, I would probably use some of the fabric in a quilt I am making for my Mom for Mother’s Day. Also, a new spring purse for me! Creativity isn’t seasonal or time of day for me, it’s more circumstantial: a quiet sunny day. I want to make a skirt for my daughter and a bag with anything left over. What an excellent interview! Jennifer is my most favorite designer, her fabrics are amazing but they are enhanced by her joy for life and care for others! Early morning with crisp clear light…thats when I am most productive and creative. I normally use Jennifer’s fabric for baby blankets…but I have a secret stash that I am going to use for blankets for my sisters and mom. The fabric grab bag would be worked into existing projects…its always fun to try new prints! This was a great interview. I love the pictures, and getting to know Jennifer a bit more. I wake up inspired, I must be dreaming it or something. Also, seeing a great fabric print sends me running to get it down somewhere…photo, draw, something. What will I make, well I’ve already been given some of Jennifer’s fabrics, by Jennifer, for which I’m sooo thankful. So I’d prefer another name be drawn for that….share the love. I just wanted to comment on a great interview and idea of the Blogaview. I used to think I was most creative in the morning, but now I think it’s early afternoon — while my son is napping. Jennifer’s fabrics are always filled with such great bright colors…I would love to make a summery tote for the beach or picnic blanket! The interview was GREAT! Great fabrics and designs too. My most creative time is the first 3 hours after getting up…6am…which is not the same as my most productive time, which is after 3pm. So, I do the mundane, have-to-work stuff in the middle of the day and create the other times. As for what I’ll make….depends on if I want it, or if I can part with it…IF I can part with it, I have grandaughters who desperately need a room intervention, so decorating their room is high-priority right now. I am creative in all seasons, but I most creative preapring for holidays and gift giving. The early mornings seem to be a great time for me to get the juices flowing. I would love to make some placemats and a table runner with this win. Oh, Quilt Dad sent me over!! Weirdly, I’m inspired most when I’m away from my sewing machine: while exercising, driving, falling asleep… the most annoying places! I’d use the fabric for my upcoming virtual quilting bee. Thanks for being so generous! I think I’m most inspired after perusing blogs and websites, and then looking through my stash. I would use the fabric for one of the mane baby quilts I’ll be making this spring or for the chuppah I’m making for my friend’s wedding in the fall. Thanks for the giveaway! Great interview & the formatting looked perfect on my screen! The best time of year for me is spring. After a long, cold winter here in New England, the budding trees and flowers definitely inspire me to create something of my own. If it were the lucky winner, I would use the fabric to make some quilted wall hangings. Thanks! Most inspiring time of year….fall by far. There is something about the smell of the air and the changing look of the plants and flowers. What will I do with my win? I really don’t know as I get inspired by looking at fabric and vintage finds and the ideas just come to me. Great interview! I enjoyed reading it! I’d have to say doing and fall are when I feel the most inspired. I tend to get out of the house,take out the camera and really see what’s around me. I’m stuck on quilting so I’msure the fabrics would go into a new quilt! Thanks for the giveaway! My inspiring time is right now! The temperature today is 50 degrees. It feels like spring is in the air after a long MN winter. 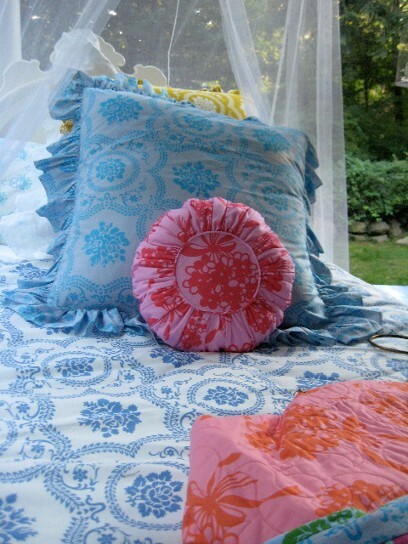 I could use some lovely pillows to spruce up my living room and fill it with a hint of spring. Hi Scott. This is my first visit to you, I came via quiltdad’s blog. I’m so glad I did! That was a wonderful interview, so interesting to get an insight into Jennifer’s life – THANK YOU! My most creative time is in the morning, right after I have dropped the kids off at school, checked my email and poured a coffee. I get 2 hours a day ‘me time’ then, whilst the little one is at nursery…not long, but that precious time is when I try and cram in as much as I can. If I were lucky enough to win, I would use Jennifer’s fabric to make something for my 9 yr old daughter, most likely a floor pillow to use when the weather warms up and she can sit outside on it. And if I won one of your scrap bags, I think I would do the same…a scrappy pillow with lots of colour and plenty of variety, I’m sure either would look wonderful and be well loved! stopped in from Stop Staring and Start Sewing and so glad to find an unecpected gem today!! the interviewer and interviewee we great and i’ll definitely be back! 1. most inspired in the evening when the house is quiet, but most productive during the am!!!! 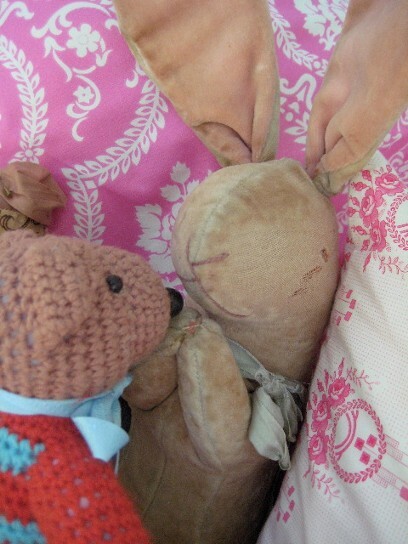 2. i’m getting really into stuffies rightnow and think that the fabrics could be fun in some for spring, baby gifts etc! I am most creative in the morning. Even if I just have 15-20 minutes I get ideas and go with them. I would make some bags with the fabrics, if I win. Or a teddy bear or doll clothes for my niece, or makeup bags for my daughters. Maybe a new checkbook cover and wallet. Thanks for sharing the interview! I thoroughly enjoyed it photos and all! 2. If I were lucky enough to win I would love to add some color to my kitchen with some beautiful hotpads out of the vivacious Sis Boom fabrics!! My most inspiring/creative time is late afternoon or evening. Of course, this rarely ever works out with my family’s schedule! If I were to win any of the fabulous giveaways, I would make a fun tote for everyday purposes…that way I would get to look at the gorgeous fabrics every single day! Oh yeah, Quilt Dad sent me! Best time to create is in the morning. First, I have to do some utilitarian job – like hem pants or repair a tear in a shirt – it just gets my hands moving. And while my hands are “trapped” in the practical job, the mind (of me) boggles. Then the creating begins. Quiltdad’s blog sent me to your blog great interview w/Jennifer. My most creative time is early morning I get my cup of tea and start in… I will probably make some sort of tote bag or purse not really sure till you see what it is you have to work with but, I’m really hoping I’m a winner!! I found my way to your website through Jennifer’s Blog~ your classes look fantabulous! My favorite time of day would be the mid to late evening hours when my children are fast asleep and I can sneak down to my sewing room for an hour or two of uninterrupted creative bliss. I would love make patchwork twirl skirts with Jennifer’s new fabrics~ my 5 yr. old adores them (she is into very girly frilly things)! I am a huge Jennifer fan! 🙂 And I really loved the interview style. If I were to win, I think I would make my teenage daughters something funky to wear – they love gorgeous fabrics as much as I do! It’s hard to narrow down my inspiring moments to a time of day. I am constantly thinking in the back of my mind (while being a mommy to two little ones) of projects I want to do. But lately, I feel like some of my most inspiring moments are when I’m trying to go to sleep or even while I’m dreaming. I swear, the other night I was tossing all night because of a fabric that had birds on it that I needed to use for a wallhanging that I had already finished. So – a few days later, I bought the bird fabric and a handful of other fabrics so that I could make a second wallhanging using the bird fabric. Oh! I’m cursed. I hate not getting a good night’s sleep because of my addiction to quilting. But I guess I’m glad I was inspired. The birds are so much more appropriate for my birdhouse wallhanging. So “nightime” would have to be my answer to your first question. In answer to your second question, I would probably make a bag with lots of embellishments or some funky clothes for my 3-year-old daughter. Another first time reader here too! Loved the interview. Inspiration strikes at odd times, flicking through a magazine, watching kids in the park or looking at their scribblings on a blackboard, or sometimes at crazy hours of the day like 2am, requiring a notebook next to the bed! I’m most creative though when they are in bed, so from 10pm to 1am. If I were to win I’d try my hand at making my first dolls quilt – well two actually for my two eldest girls. Love this blog! I am inspired mostly early morning..(3 am when I can be alone.) Currently I am ito making handbags and table runners. These new lines of fabric are pulling me away from the more traditional colors, and really opening up a whole new side of my creativity. I am in the process of redoing my sewing room to reflect the new me! thank you so much for the opportunity to win one of these fabulous prizes! My most creative time of year is the SUMMER! I am an American living in Norway and winter is a down time, one gets so tired in the dark evenings and just thinks of sleeping. I often find myself going to sleep when the children do. In the summer the night never really gets dark, the skies are starless for months! I get a huge burst of creative energy and just love it! Should I win I would surely use the fabrics for my matryoshka dolls! They would be wonderuful in them! I am most inspired at night. My brain finally starts waking up at about 10pm. Unfortunately, right now my boys wake up at 5am. I mostly make quilts, so they fat quarters would probably end up in a quilt. I’m also getting onto a big napkin kick right now, so they might make a nice set of napkins. The scraps would end up in mini quilts for swaps or doll quilts for friends or my boys. Hey Scott, I just found your web site. What a great interview. I find my most creative times are 1) when I am in the car alone. 2) when I am in the shower (also alone) 3) just before I fall asleep. Those are the few times my mind gets to just wander around aimlessly. Gotta take notes though or I would forget my brilliant ideas. As for what I would do with my winnings…well if the colors are right I would use them in the projects for the book I am working on. Other than that they could end up in ATCs, fabric books, a bag, my art journal, a shrine or a bunch of other things but probably not in a big quilt. I’ll be back to your blog. 1. Mornings are always great for me. 2. If I won the fabric, I would first have to fondle it for a few months, then hoard it for a few more, and than maybe I’d be ready to make something with it! What a great interview! It seems you two have a nice rapport. I chiuckled about the Barry Manilow tickets! Ooops forgot to answer the questions- I agree that any alone time in the studio is good creative time. I would make lovely little summer clothes for my six year old. I really liked reading this after/while listening to the CraftSanity interview. Inspiration comes to me more in the afternoon or evening but work time is best in the a.m. when I feel more disciplined and my eyes are fresh. What will I do with the gifts? Well I think I will wait till I get them to see what ‘they’ inspire! loving the layout of your fun interview. The pictures are gorgeous. 1. Most inspiring time of day is right around 5am when I’m at the gym working out. I love the time to myself to think without my kids interrupting me. 2. I am working on a LARGE snippits quilt and would love to add some of the fabrics into it, but the rest of it…I suppose I’ll have to see what it inspires me to do. I probably would use the fabric for borders on all of the hand embroidery that I have been doing lately…that would be very cool. Spring when its sunny is my best time, and I would love to make a tote from the fabric! My favorite time is the late winter, early spring, when the first signs of the new year are upon us. The snow is starting to melt, the buds are forming on the trees, and the witch hazel opens its yellow tendrils and the luscious fragrance starts to permeate the air around it. This gets my hope up that winter’s end is near, and the riot of color will start to explode with spring. I volunteer with a group that makes comfort quilts for cancer treatment patients at some local hospitals, and I would take my prize and utilize the pieces both in the quilts that I make for this group, as well as the quilt kits that I make up for people to make comfort quilts for this group. see pburega-pqp.blogspot.com for more details of these comfort quilts. What you do for others with your quilting is really cool Paul! Time of year for inspiration? I would say winter inspires me to make quilts because my whole family wants to be wrapped up in a quilt for warmth! And Spring inspires me because of all the wonderful colors! What would I make? Out of the scraps – probably some wonky log cabin blocks. THe fat quarters – maybe a baby quilt. Hi – thanks for a great giveaway! Visting via Jona’s blog. I find the beginning of the year, summer, and early fall the most inspiring times. I don’t sew much, but I would love to make an apron if I won. And I would like to give some fabric to my daughter who does sew:). I love the spring, it’s rebirth and bursts of color after cold, dark, dreary winter. I will most likely take the fat quarters and go buy more of the coordinating line and make a quilt. I can’t wait for this Paris line. I LOVE PARIS!! Aloha! My husband is in the US Army and we are blessed to be stationed in Hawaii – so I am inspired every time I look out at the beautiful world outside my window. Acting on that inspiration isn’t so easy. I have four wonderful kids who keep me very busy from sunrise to bedtime (thier bedtime). When they are down for the night, I start my planning or baking or cutting or sewing…. Unfortunately, unless hawaiian print fabric is what you’re looking for, fun designer fabrics are not available in these parts :). All of my exposure to these beautiful fabrics comes from surfing on and ordering from the web. But I’ll take what I can get!! It’s a small price for living in this Paradise. If I won your “fabric lottery” I would spend alot of time just admiring my windfall, then I would start making skirts and/or crowns and/or something else precious for my one daughter, who would appreciate such things much more than her 3 brothers!! Thanks for the interview and for the insight into JP’s creative world. I cannot wait for her new lines! Springtime starts the creative spirit going after a long cold winter. Also I find fall time inspirational with all the beautiful fall colours. If I won one of the giveaways I would make a tote for some of the larger quilting supplies I have to haul to workshops. My current bag isn’t quite the right size. This is such a fun interview. My most inspiring time is during the spring and summer; I just love the colors. The time of day would have to be during my 9 month old baby’s naptime. I would just love to use these fabrics for a handbag or a skirt for my baby girl. What a cool interview! John from Quilt Dad sent me over. I live in Northern NY and it’s said we have 2 seasons here– OMG it’s muggy, and OMG it’s freezing. We just jump from one to the other without much adjustment time in between. I love it when we really are feeling Spring and I can open the windows and get in some fresh air into my home. Then I get my creative mojo back and make some really weird funky stuff. I would love to win your giveaway because those are exactly the type of fabrics my 9 & 10 yr old daughters love, and I would give it to them, so they would leave my fabric alone. They have their own machines and I walk around pouting because I have to cook and clean, while they are having fun!! Oh and I love the painted (?) sneakers from one of your previous posts that caught my eye. Those are GORGEOUS! Yeah me! One more blog to get addicted to! 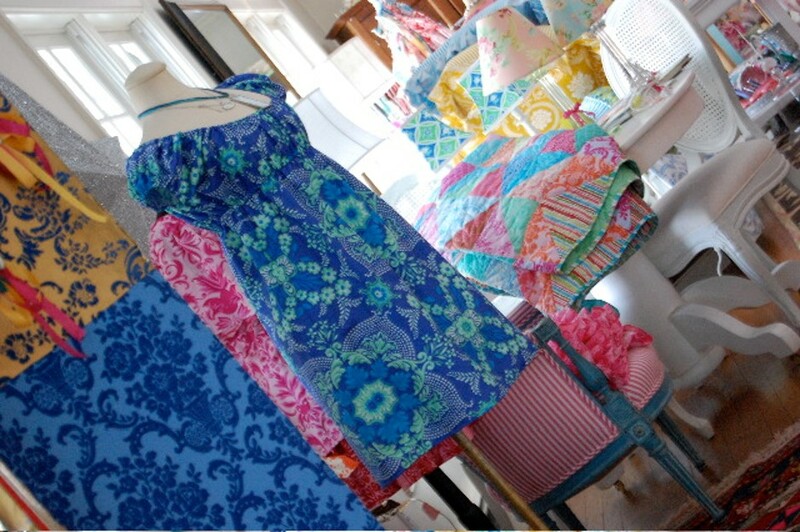 I would do nothing w/her awesome fabrics…I love the colors stacked side-by-side giving me a wave of color happiness! Summer inspires me….I love the greens of the leaves and pink, purple and blue flowers. The bigger the bloom the better!! Spring time is my most inspiring part of the year. I hate winter and look forward to the warmer weather. My most inspiring part of the day is probably around noon, right after I eat. I’m not a morning person and it takes me a bit to wake up. I have 4 boys so I think clothes would be totally out of the question but what I really LOVE to do is make Quilts. I could sew quilts all day long. I came via quilt dads blog. My most creative time of the day is after midnight. I have always loved that time of night when the world is still (unless you live in Vegas). On these nights, I fix a cup of tea and sit out on my front porch and watch the night pass by. With it, I see boats traveling down the river, raccoon’s looking for food, deer walking down my street and many people driving past that don’t realize someone is sitting on the porch. I do my best work at night. If I won any fabric, I would use it to make doll quilts for my granddaughters dolls and add the scraps to a biscuit quilt I am making. I love to work late at night. I find the quiet and the aloneness totally inspiring. I am a quilter, so any scraps headed my way would be destined for baby quilts! I love this post and this blog! I was sent over here from Quilt Dad. I love the evening for creative time. That is when my children are sleeping and I can go to my sewing corner and be with my fabrics, design in my mind and piece together quilts. My most favorite time of year is autumn. I love to watch the leaves turn, the soups and hearty food that comes along with the season and for the colors you see in nature. What I’ll do with the fabrics if I win is hard to say. I’d need to see the colors, but all of my fabric goes toward making quilts or clothes for my daughters who are 7 and 2. 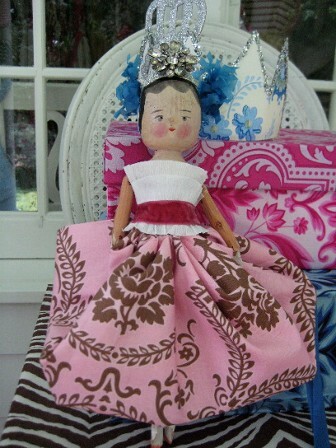 I like to make them twirly skirts or dresses. Thank you for hosing this giveaway! Quiltdad sent me over. Love your blog! 1. I’m a real evening person. So I get usually very inspired in the evenings. Summer is my season. What a fun interview and contest! I find that spring mornings seem to bring me the most inspiration – but like it was said above… any moment alone really helps. I think I’ll be making an apron and clothes/trim for my little ones. 2. I’m thinking about a banner or some wall letters. I get inspired anytime I look through quilt magazines. I hit the jackpot at the library last week, when I got 10 various quilt magazines (2008 issues) for a buck! If I won, I would probably make something from one of those magazines…Ooooh! or maybe an apron or potholders….or fun coasters…….. Inspired mostly during the winter months as I spend my time out doors during the summer working in the garden, flower beds, and mowing. Fabric colors would be a deciding factor if project would be an apron, table topper, summer dress for little granddaughter, or worked into a quilt. Thanks for such a neat giveway. Hi – just read your blog via Jennifer P’s. blog. What I’ve been missing! Loved your shots of the clothesline – I remember those days. Mine usually had diapers on them, but that is really showing my age. My favorite times of inspiration are Spring and Fall, usually in the afternoons. New ideas from books and magazines get my juices flowing, also trips to quilt and craft shops. Or a trip to a quilt/art show. Then all I want to do is stay home and create – don’t bother me with meals, laundry, phone calls, etc. But that’s in an ideal world. As for what I’d do with a prize: probably make pincushions, or try my hand in card making with fabric, i.e. altered art work. These days , I usually quilt for myself and gifts for family, besides Christmas gifts for friends and family each year. This is after 15 years of making and selling crafts at local shows. Once a sewer, always a sewer. Although your and Jennifer’s gift bags of fabric may be too beautiful to cut up, so I may just look and touch them! Keep up the good work! My favorite time of year is spring, favorite time of day is morning and I often have my best ideas then. I would love to win this gorgeous fabric and would love to use it in a quilt! I’m a huge fan of Jennifer and love all the fabric you are offering – they are so cutting edge, bright and sophisticated, all at once! What a fun interview and loved the photos! What a talented person Jennifer is. My favorite time of year is the fall but unfortunately I am more inspired to create in the Spring and Summer because of the fabrics! Love bright & colorful. I especially love to create children’s dresses so that would have to be what I would create if I won. Thanks for sharing! I love my occasional visits to your site–and you sure get a lot more comments when you’re giving stuff away! You are such a creative guy! I am always most creative after my morning coffee, but when I get going on a project it can go long into the night. Season of the year doesn’t inspire me–colors and fabrics do. Thanks for being another inspiration. I really like the name of your “series” I have been thinking of non-green trees myself lately, and I LOVE pink or red tinsel Christmas trees! Love the photos of all of your fabric on the clotheslines! Those are fabulous! My favourite time of the year is Autumn – October to be exact, the changing of the leaves, the hint of frost, and the wonderful wind storms. I find it a really reflective and inspirational time. Projects no doubt would be quilts. I’m addicted and more fabric would go to the cause 😉 Thanks! Most inspiring time of the day – about 5 hours after I wake up. I will likely make a quilt, large lap size — big enough to cover up the person lying on the couch. May in Minnesota is inspiring & beautiful with everything budding and blooming almost at the same time. Apple blossoms, peonies and lilacs are my favorites. I hope I win so I can make a lovely spring handbag! My most inspiring time of year is spring and time of day is early morning. I would love to make a quilt with these fabrics and have been collecting similar prints and colors toward that goal. I’d post picture on Flickr too, of course, to share with friends!! Visiting via Stop Staring and Start Sewing which I should actually do but I’ve had so much fun for the last half hour visiting your blog and then Jennifer’s, flickr etc. etc. Couple quick comments or observations… you have a ton of folks from MN that commented (? ), I’m from MN too, so I thought I better join the flock, maybe it will bring me fabric luck. Second, I wish my laundry days looked like your laundry days. Dang you have your very own fabric shop hanging on clothes lines and apparently you don’t hide your fabric purchases from your spouse since it is hanging out there for the entire world to see… Lucky man! Inspiring time of year or day? Lately it has been on a daily basis after visiting blogs, flickr etc. I spend way too much time, however, “being inspired”! What would I create? I’m just finishing my first quilt, so more than likely I would use the fabric in a future quilt. Thanks for the chance to win and the great read, made me laugh! My most inspiring time of year would definitely be in the Spring. It seems to me that a lot of designers find inspiration in the Spring, and for plenty of great reasons! I love the feeling of peeling away the layers of winter and taking a fresh breath of Spring air. My sewing machines are graced with bold and happy colors and it renews my mind. If I won a prize, I couldn’t possibly tell you what I would make! LOL Most often I just let the fabrics speak to me. It could end up a sweet dainty dress or a to-die-for new wallet! It just depends on what it says to me. Thanks again! I enjoyed the chuckle – and you should definitely consider doing some more “blog-a-views”!! Love your interview with Jennifer and absolutely love her new Flower Power Line!! I think I get most inspired from Nature and love this time of year when all the new flowers start budding and peeking their little heads out of the dull brown earth!! I would probably make something really pretty for my new gbaby due in another month! Most inspiring time of year or day: any time of year, but definitely late at night!–especially after the kids are in bed and I have some quality creativity time. What I’ll make with my prize depends on what the fabrics are like…perhaps an apron for a friend or to keep, or maybe some more clothes for my 2-year-old daughter, OR, if the fabric is right, I’ve been thinking about making a tie onesie for my youngest. I don’t know if I ‘m in time but I must post a comment. I love Jennifer Pagannelli designs and this giveaway is awesome. The next collection is so beautiful with this brilliant colors. So answering the question: My favourite day to make my craft is on Sunday cause is the day of the week I’m more relaxed and when I got more free time. If I won I would like to make a quilt (I love quilts!! ), a handbag and maybe a skirt. I have a lot of projects buzzing my head and only need time and fabrics to make it up. Thanks for this chance and good luck to everyone!! Sorry for my English I’m from Barcelona and I don’t speak it very well. Well you just scraped in here Elena! Best wishes! My favorite time of year is spring. I love flowers and enjoy appliqueing them onto quilts. I would probably use some of the fabric for applique and some for a nine patch with flowers appliqued onto it. The scraps for a crazy quilt. This was so much fun to read! I thought i knew everything- but your questions were hilarious and enlightening! MORE! MORE! Thank you.